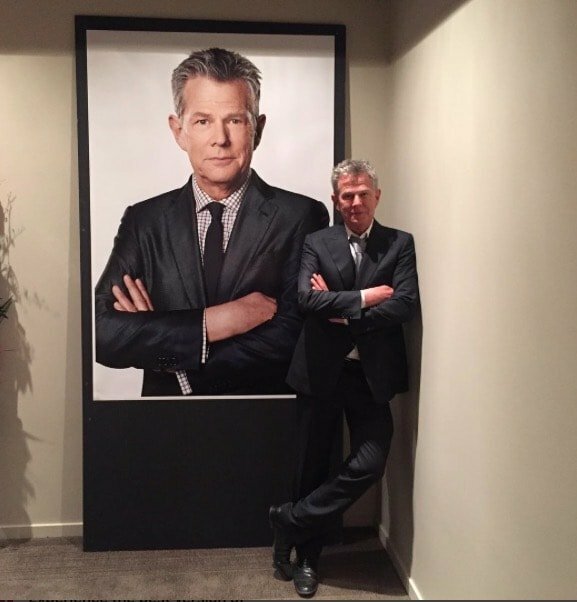 David Foster has been accused of ditching Yolanda Hadid when he got sick of her being sick. The ex-husband of the former Real Housewives Of Beverly Hills star denies that Lyme was the only reason for their split. David also defends his treatment of Yolanda during their marriage, and insists they both tried to make it work even though rumor had it that he got sick of paying for hallucinogenic elephant healing in Thailand? Yolanda Hadid‘s brain functioning was certainly at 100% while she was compiling a list of grudges against those who spurned her while she was battling Chronic Lyme Disease. 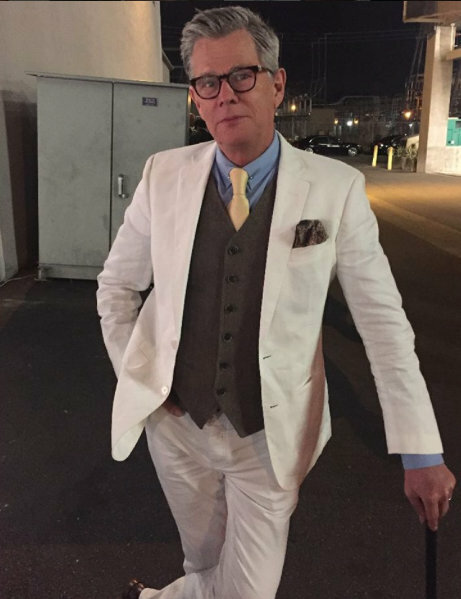 Topping that list is, of course, ex-husband David Foster, who grew sick and tired of her sickness, and also some of Yo’s ex Real Housewives Of Beverly Hills co-stars! Oh Yolanda Hadid, aren’t positive thoughts part of your Mind, Body, and Spirit wellness plan to defeat Lyme disease? I guess not where tell-all memoirs are concerned! 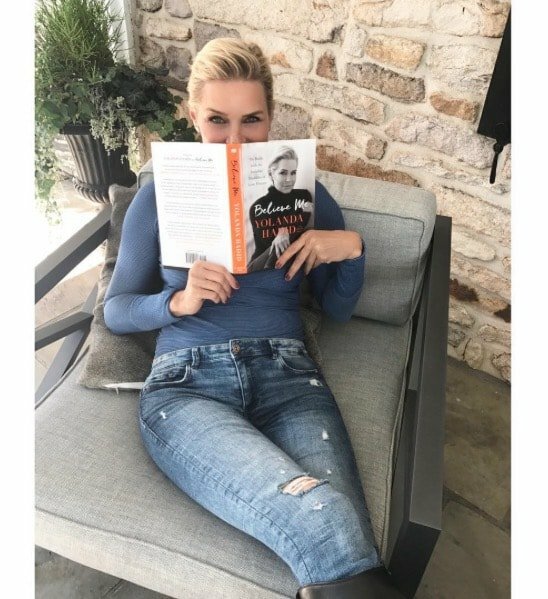 In a preview for her new memoir, Believe Me: My Battle with the Invisible Disability of Lyme Disease, Yolanda calls out all the haters and skeptics who doubted her illness – most notably her ex-husband David Foster and her former Real Housewives Of Beverly Hills castmates by telling her story at 100% brain functioning. Yolanda reveals how she truly believed Lyme Disease would kill her after “too many nights I found myself lying naked on the bathroom floor, the only relief being the cold tiles on my bare skin, wondering how much more pain I could take and how many more days, months, and years I could suffer.” And even worse, David wasn’t the supportive husband she pretended he was. Apparently one vital step in the Lyme healing is to flaunt your bikini body while celebrating freedom. I too am celebrating freedom from Yolanda monopolizing Real Housewives Of Beverly Hills – hold on imma get my bikini and my iPhone. Anyway, while off frolicking in Tahiti, a curious story popped up alleging that Bravo presented Yolanda an ultimatum if she hopes to remain on Real Housewives Of Beverly Hills: No Lyme Disease, or lose your job. Since Yolanda has integrity, y’all and living her journey as a warrior for victims of silent diseases… Oh wait – no she’s not; she wants to be famous, so Lyme? What Lyme?! Real Housewives of Beverly Hills Casting Rumors – Kathryn Edwards And Yolanda Hadid Out? With Season 7 contracts being signed, rumors are already swirling about next season’s cast. One thing is unquestionably certain – Bravo wants changes! It seems they might want more true friendship and fun, rather than the divisive “Munchausen show” and ManipulationGate, RHOBH became last season. 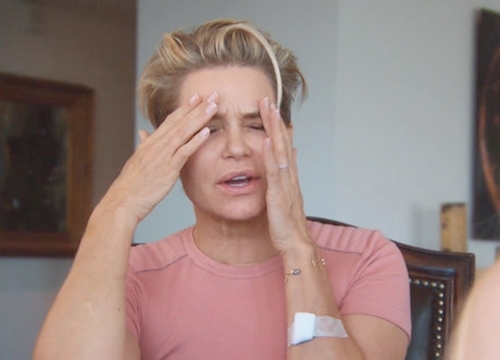 Oh no – say it ain’t so Yolanda Hadid is probably not be returning to Real Housewives Of Beverly Hills next season. I don’t know how I’ll recover from the heartbreak. Maybe I’ll just go instagram some sad-face selfies. Unfortunately Kathryn Edwards, who I was slow to warm-up to, but eventually really liked, is reportedly not returning either. Is there about to be drama in divorce land?! David Foster filed court papers denying that he be responsible for the spousal support requested by Yolanda Foster, now Hadid again, in her divorce filing. David and Yolanda were married for four years, and they had a strict prenup. Despite this, when the Real Housewives Of Beverly Hills star filed for divorce in January, she requested spousal support and legal fees from David. What an awful Real Housewives of Beverly Hills finale! If the ladies sucked up to Yolanda Foster‘s journey any harder, they’d be a two-foot long parasitic tape worm! Colonics – STAT! I hate a finales in general. Everyone circles like sharks, lurking for damage control, eager to take down the pre-appointed prey. And to the shark with the sharpest teeth, go the tastiest camera morsels. However, it’s important to remember that sharks are not smart – they are reactionary creatures whose successful existence hinges on their ability to annihilate prey quickly and effectively, which accounts for their survival, basically unchanged after millions of years. This is where Housewives fail. Their takedowns are rarely streamlined, timely, or effective. Such is the case at Kyle Richards‘ party, held in the house she stole from Kim Richards. What a shocker that Kim is there, holding a sign that reads “Property Of KimKillah.” I believe Brandi Glanville did her hair and makeup. That is the only excuse for the bootleg I Dream Of Jeanie looking Bump-it hair and wandering cat-eye makeup. But at least Kim isn’t smuggling vodka in her iced coffee. Instead, she’s smiling, eager and willing to pretend all the nastiness of Palm Springs pasts never happened. 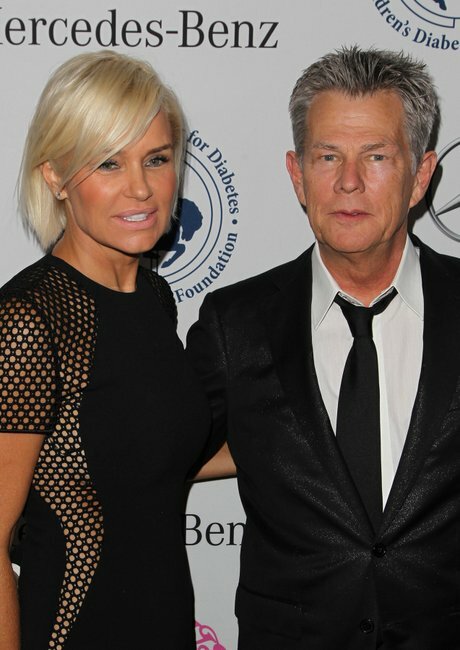 Despite his impeding divorce from Real Housewives of Beverly Hills star Yolanda Foster and her Lyme Disease, David Foster still supports his former ladylove! “Her and I are really good,” David shares. Well, they say absence makes the heart grow fonder!